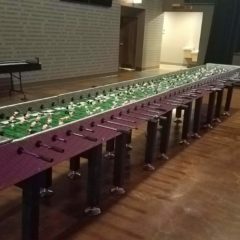 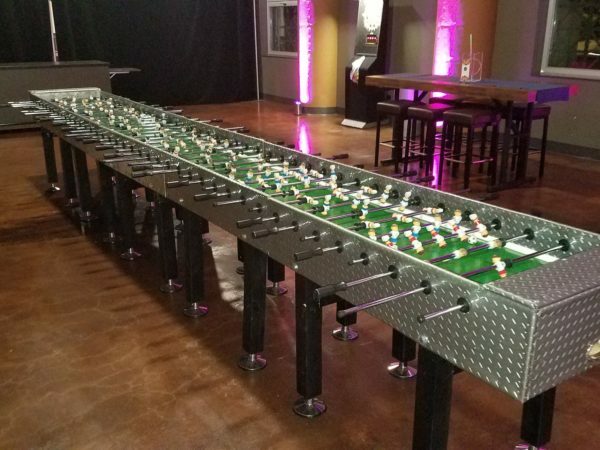 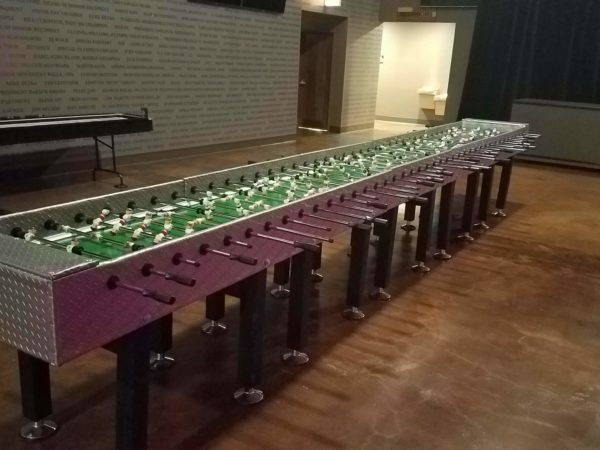 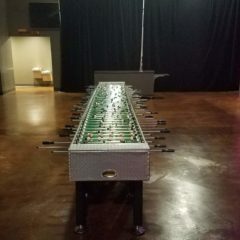 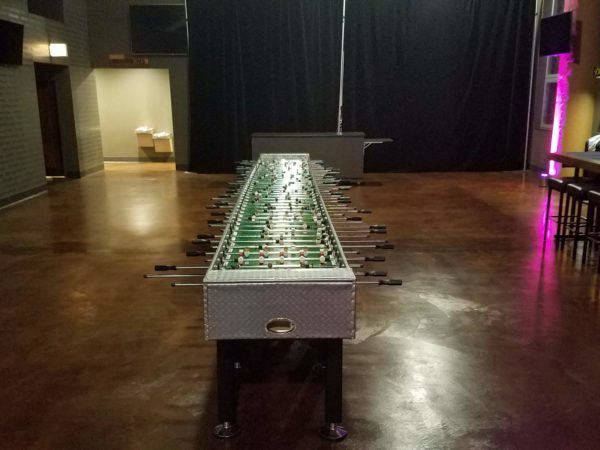 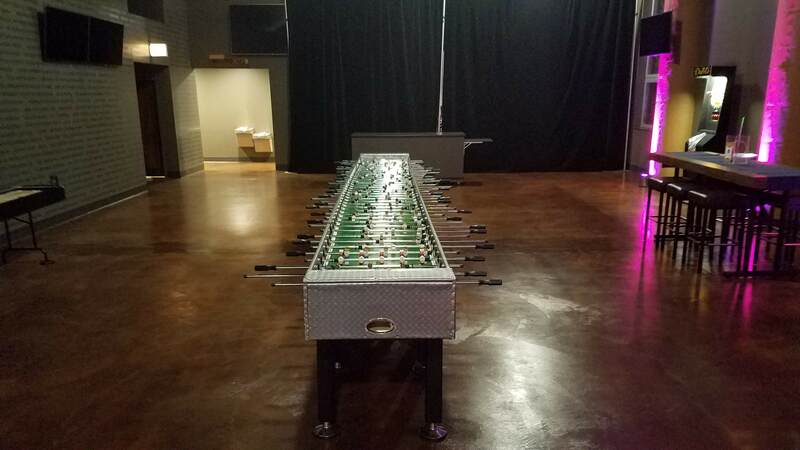 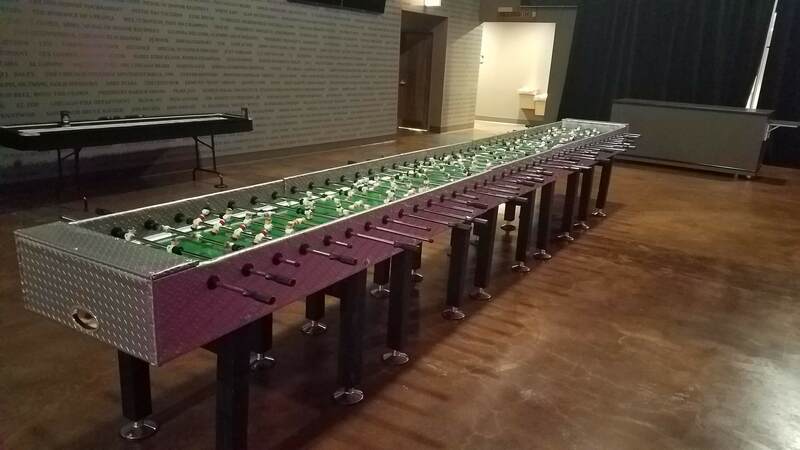 Get 20 of your closest friends together to compete in this ultimate Foosball challenge! 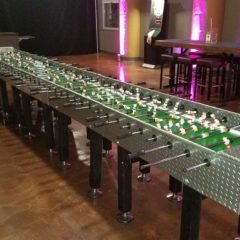 This game allows for 10 players on each side to battle it out and get as many goals as possible. 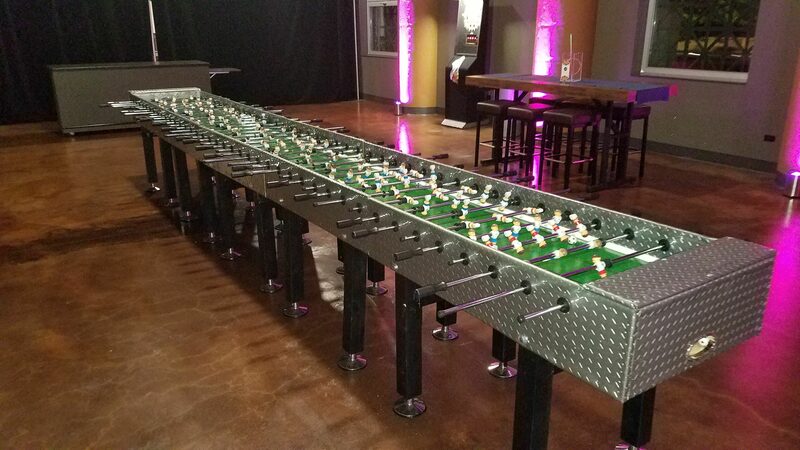 10 balls are dropped on the field at once to keep the energy going throughout the entire playing area.